​a. 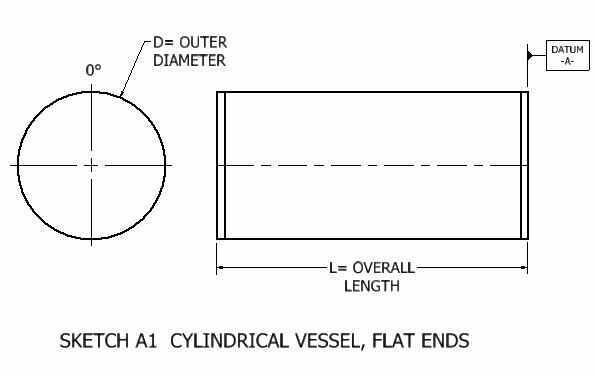 If the nozzle is an axial or hill side nozzle, define the distance from the vessel datum to the nozzle centerline, X (Sketch A2). 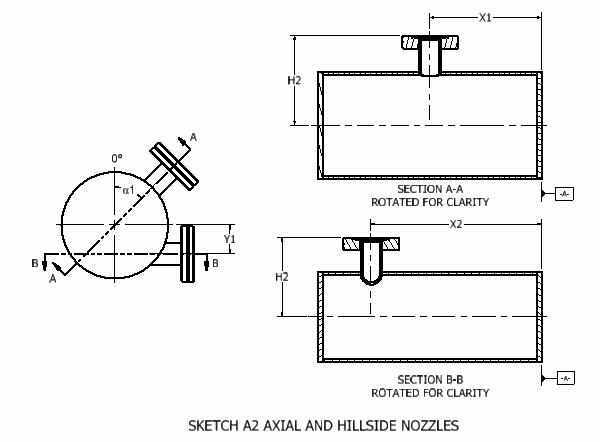 a.If the nozzle is an axial nozzle or hill side nozzle, define the distance from the centerline of the vessel to the nozzle flange face, H (Sketch A2). 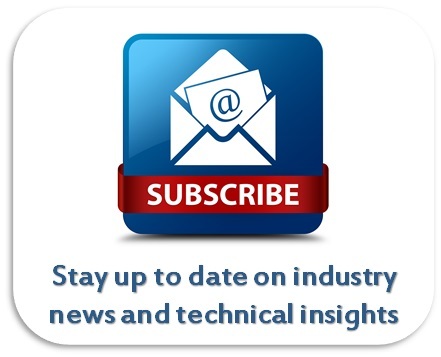 b.If the nozzle is a polar nozzle, define the distance from the line, intersecting the focal point and perpendicular to the nozzle centerline, to the nozzle flange face, H (Sketch A3). a.If the nozzle is an axial nozzle, define the angle from vessel zero degree axis to the centerline of the nozzle, ɑ1 (Sketch A2). 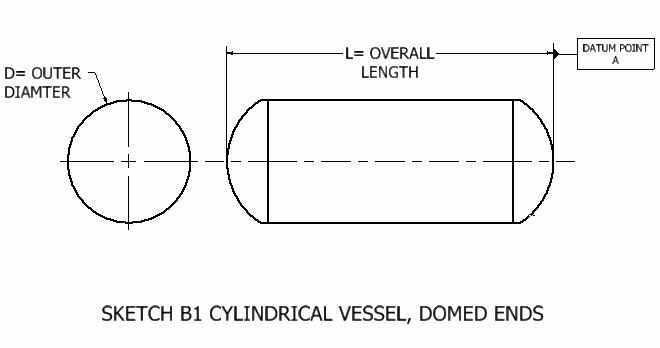 b.If the nozzle is a hill side nozzle, define the distance from the vessel’s second centerline to the nozzle centerline, Y (Sketch A2). 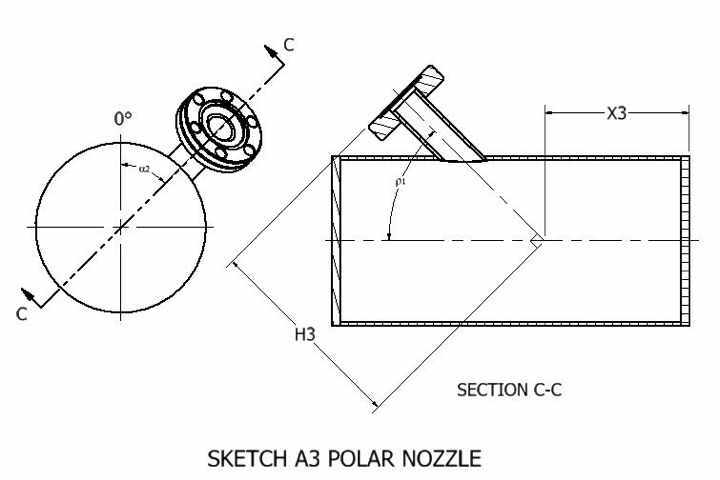 c.If the nozzle is a polar nozzle, define the angle from vessel zero degree axis to the centerline of the nozzle, ɑ2 and the angle from the vessel centerline to the centerline of the nozzle, ρ1 (Sketch A3). ​a. 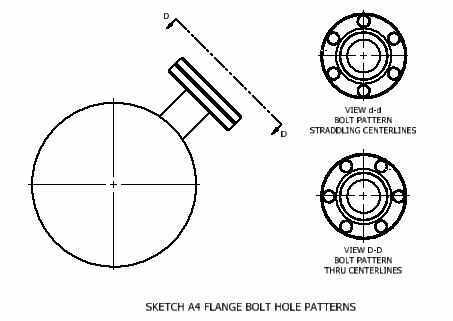 Specify whether the nozzle flange bolt hole pattern “straddles” the flange centerlines (Sketch A4 View d-d) or that the nozzle flange bolt hole pattern passes through the centerline (Sketch A4 View D-D). 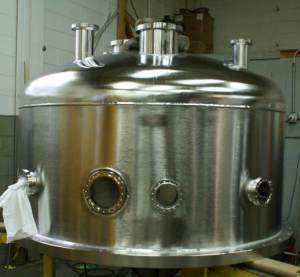 Standard, as welded tolerances for vacuum chambers and thinner walled pressure vessels are generally in the order of +/-0.03” and 0.5 degree. 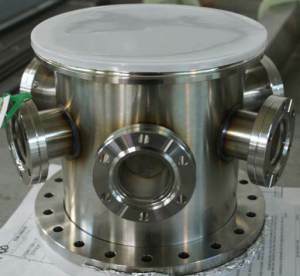 Tighter tolerances are held by post weld machining critical features. 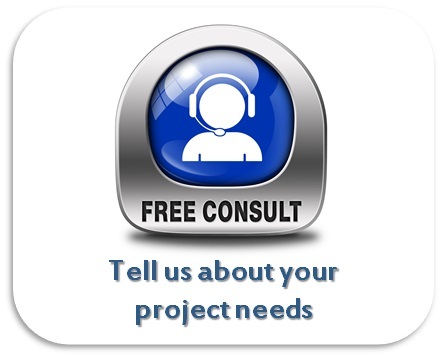 The user should specify the necessary tolerances on their sketch.